Winner of a 2008 Teachers' Choice Award! Many children, especially those with developmental delays, have trouble understanding or expressing their feelings. This can result in difficulty with anger management. Listing possible responses to situations-and the likely outcome of each one-allows the child to make informed decisions about which responses to choose (e.g., walking away vs. hitting). 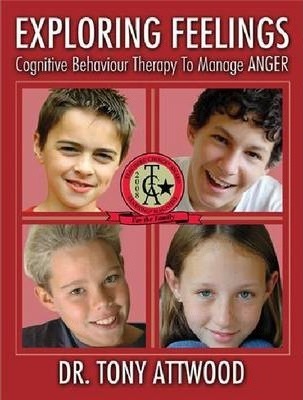 This book provides a guide for caregivers along with a workbook portion that asks children to identify situations that trigger their anger, and helps them find appropriate ways to respond. A clinical psychologist from Brisbane, Australia, Dr. Tony Attwood has over thirty years of experience with individuals with autism, Asperger's Syndrome, and Pervasive Developmental Disorder (PDD). He has worked with several thousand individuals, from infants to octogenarians, from profoundly disabled persons to university professors. Dr. Attwood works in private practice in Brisbane, but is also adjunct professor at Griffith University, Queensland. He presents workshops and training courses for parents, professionals, and individuals with autism all over the world. In addition, he is a prolific author of scientific papers and books. His books and videos on Asperger's Syndrome and high-functioning autism are recognized as the best offerings in the field. Over 300,000 of his book Asperger's Syndrome: A Guide for Parents and Professionals have been sold, and it has been translated into twenty languages.